As an aspiring illustrator, I’m always looking out for any networking and learning opportunities like a hungry hawk. I also like volunteering because it’s a cheep way to make me feel good. (I occasionally volunteer at Ministry of Stories as an illustration mentor and the stories the kids come up with are so imaginative and inspiring.) 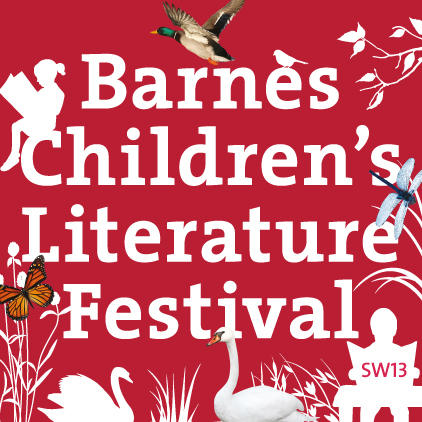 So, one day I googled ‘children’s book festival volunteer’, then this Barnes Children’s Literature Festival came up on the result and they were looking for volunteers. As I’d never been to Barnes (it’s a suburban district in the London Borough of Richmond upon Thames) and never worked at this kind of festivals, I help them out doing minor roles such as checking tickets and cleaning up venues. However, the whole experience was more than I had bargained for! During the 2-day festival, not only I watched some of the wonderful talks and workshops for free, but I also got a quite few chances to actually shake hands and talk with some talented and experienced authors and illustrators! All of them gave me priceless advice on how to get into children’s book illustration. My first day began with Danny Wallace and Jamie Littler talking about their Hemish series (the biggest selling children’s book debut of 2015). Danny was funny, but I was more impressed by Jamie drawing live as Danny read out an extract from his book. Jamie also drew a character ‘on demand’ as the kids came up with crazy ideas (it was a super hero mole in pointy boots). After the show, I went up to Jamie and asked for advice. He was so friendly and happy to share his experience of getting into illustration career. His biggest advice was ‘draw, draw, draw!’. The show was followed by the sold-out show with Axel ‘Gruffalo’ Scheffler. Not much to say – he is a legend. Watching him drawing his famous characters was like watching a god performing miracles. The queue for book signing lasted for hours. My day ended with a chat with an experienced illustrator Tony de Saulles who illustrates Horrible Science series by Nick Arnold. To find own style, he told me to keep drawing and making small adjustments until something clicks. Then I did a quick doodling while listening to the Cost Book of the Year winner Frances Hardinge talking about her award-winning book The Lie Tree (published by Macmillan) and other books. At the end of the long day, I met the prize-winning children’s author Kevin Crossley-Holland and he kindly introduced me to amazing Jane Ray, who has illustrated more than 70 children’s books. On building a portfolio, she said ‘work on the portfolio for a year or so until you’re very confident.’ They signed their beautiful new book Heartsong for me. And I must mentioned that the best thing in the festival was watching children’s reactions. It wasn’t just a great research opportunity to see what they like and what they don’t, but also it was simply priceless to see them enjoying great stories. At the end of the Horrible Science show, a little boy with shining eyes told me ‘It was the best thing ever!’ and it melt my heart. I’m quite sure this festival will come back next year and they will need many volunteers. So I highly recommend you to get involved if you love children’s books. Lastly, I’d like to thank Amanda and Richard, who gave me this amazing opportunity, and all the authors and illustrators, who gave me the amazing advice, and everyone at the festival! *All profits made at the festival go to various charities.